This years winners have been selected for their placement in the 2014 Nikon Photomicrography Competition.The photomicrography competition recognizes excellence in photography with optical microscopes and is a worldwide art competition. Artists from all over the world submit their artist photography works for consideration in this event.The prestigious competition truly sheds light on the beauty of science. Photomicrography is the art of photography using optical microscopes. A photomicrograph is a technical document of great significance to science or the research industry. A good photomicrograph becomes a work of art when it’s structure, color, composition, and content is an object of beauty, open to various levels of comprehension and appreciation. Artists who enter in the photography competition are not restricted to specific types of subject matter and are free to use any type of light microscopy techniques to create their art. Examples of the different types of light microscopy techniques range from phase contrast, polarized light, fluorescence, interference contrast, darkfield, confocal, deconvolution, and mixed techniques. All art entries are judged by an independent panel of experts recognized for their professional authority in the areas of photography and photomicrography. Competition winners are selected based upon their entries’ originality, informational content, technical proficiency and visual impact. 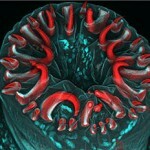 The top 20 photomicrography competition winners are exhibited at numerous museums and science centers throughout the US and Canada. 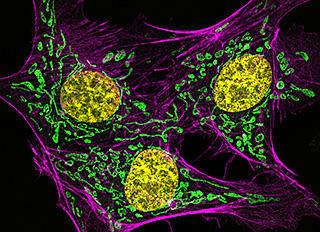 Selected images are also featured on the covers of prestigious scientific and industrial journals. The Nikon International Small World Competition first began in 1975 as a means to recognize and applaud the efforts of those involved with photography through the light microscope. The competition is the leading showcase for photomicrographers from the widest array of scientific disciplines. 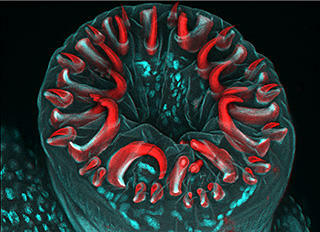 The Nikon Small World Gallery provides a glimpse into a world that most have never seen. It is a window into a universe that can only be seen through the lens of a microscope. Included in the Small World Gallery are images from the most recent competition and winning photomicrographs dating back to 1977. The Nikon Small World galleries are also featured on Nikon’s MicroscopyU, an educational forum for all aspects of optical microscopy, digital imaging, and photomicrography. 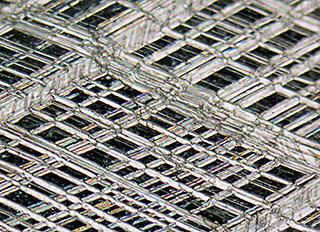 Together with the scientists and programmers at Molecular Expressions, Nikon microscopists and engineers are providing the latest state-of-the-art information in microscope optics and imaging technology including specialized techniques such as fluorescence, differential interference contrast (DIC), phase contrast, reflected light microscopy, and microscopy of living cells.